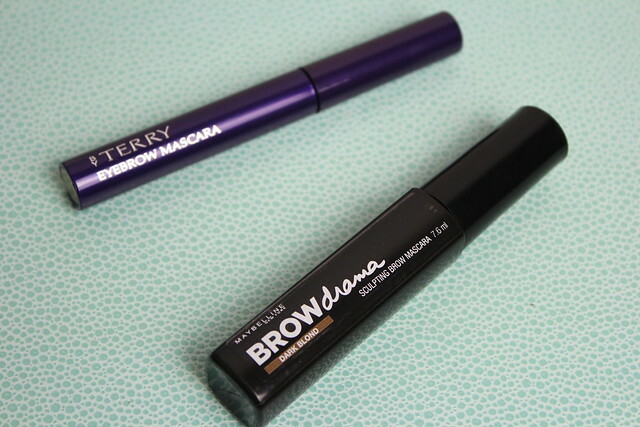 I blogged about the new By Terry Eyebrow Mascara a little while ago, plus it got a mention in my latest You Tube video as one of my daily favourites – it’s a darn good product, but it’s not on the cheaper end of the market… so I thought it would be well worth doing a little Spend vs Save post around the eye brow mascara options out there. Featuring the By Terry and of course a bargain friendly option – this one from Maybelline. The first difference to notice on these is between the different brush head styles – By Terry has a narrow brush head with short bristles. Where Maybelline has the larger one, with the lightbulb shaped wand. Now, I have to be honest and say I don’t get the whole light-bulb shape thing, it just doesn’t make sense to me. I thought it would when I used it, but maybe my brows are just too small?! But I found the larger end quite hard to get the hang of without overloading at points on the brow with product – but with a bit of practice it’s easy! It just takes a little time to get the hang of angles etc. The other difference that becomes noticeable is between the colour of the two products – the By Terry is paler and more ashy shaded (good for brows as you’re looking to create a shadow effect as much as add colour) where the Maybelline one is darker. 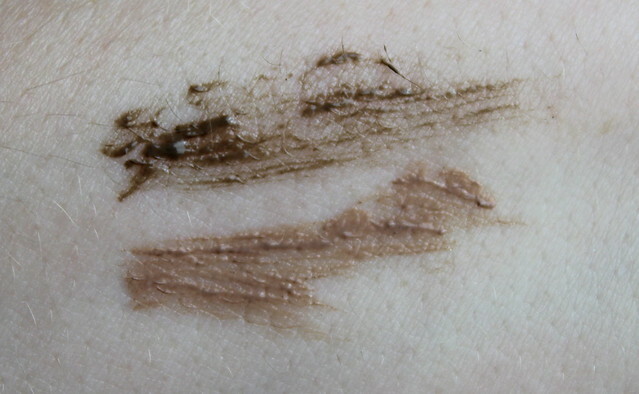 But quite sheer instead of creamy like the By Terry. Both work well for blonde brows which want a bit of extra oomph, but you do have to go a little lighter to avoid the colour going too dark. The sheerness of the Maybelline creates more of a tint effect which looks nice and natural on the brows. 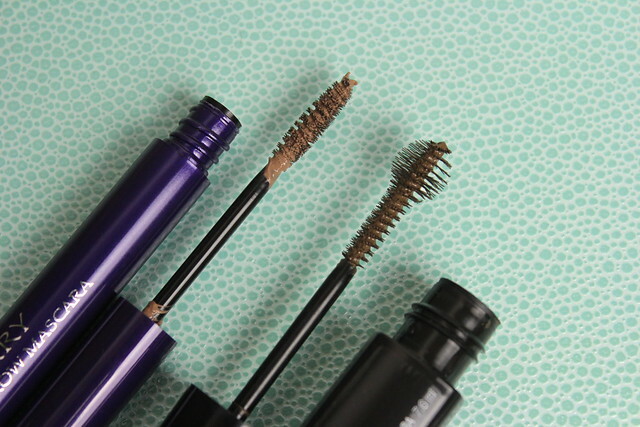 In terms of hold, there’s not much in it – they both do a good job and at this point it’s where the light-bulb wand comes in handy as the longer bristles are good for taming longer brow hairs. This is a really great and accurate write up – I have the Maybelline and completely agree about the brush shape, makes no sense! But also agree about the colour and hold so you win some, you lose some! Definitely a win with the price though!! 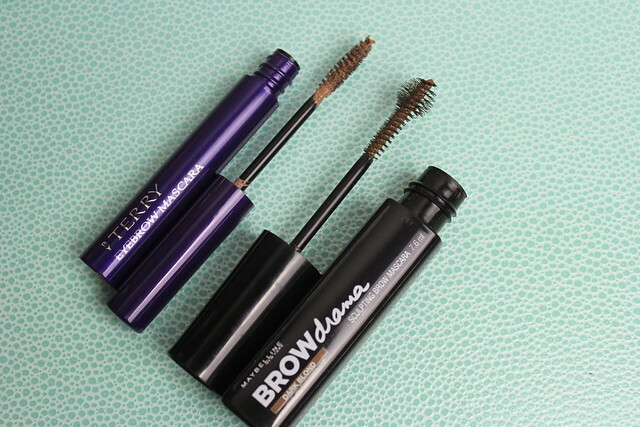 I have and love the Maybelline version, definitely don’t feel the need to spend any more on a brow product if these two do roughly the same job! I have been looking for a new brow mascara as i have just ran out of my Look beauty one which was great but you can’t buy it on it’s own. Such a pain.